Once a Rocker…ALWAYS a Bluesman. 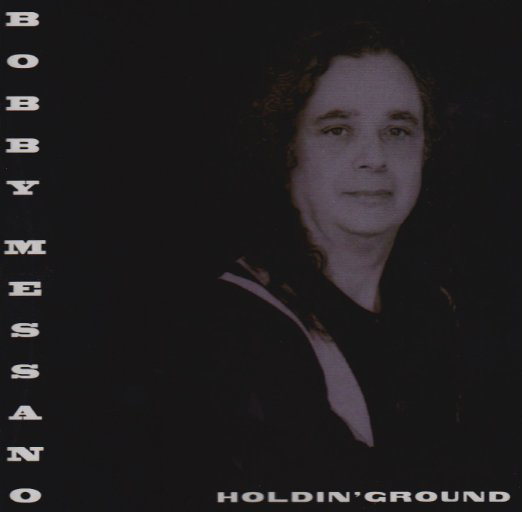 Bobby Messano’s latest offering is loaded with guitar-driven blues songs. From the passionate In The Depths Of Love to the jumpy, thrilling Get UP and Dance (With The Blues), blues fans are sure to keep this one in their CD players for good. The production on this disc gently lays Bobby’s gutsy and soulful vocal style against a huge texture of blues sounds. This offering was almost lost in the shuffle in a brief deal with Ichiban Records, prior to their demise. Holdin’ Ground is a must have for any blues lover.